The aim of this special issue “Data Analytics and Optimization for Decision Support” is to present recent advances at the intersection of data analytics and optimization. With the integration and pervasive applications of a new generation of information technology at an industrial scale – driven by such advances as big data, cloud computing, mobile internet, Internet of Things and machine learning – inevitably massive amounts of data are generated. Traditional decision methods, by comparison, use much less data. In this new setting, “data-driven optimization” as a fresh approach for industrial optimization has been proposed. But the transformation of traditional mathematical optimization to a data-based optimization model is a challenging undertaking, in terms of collection and management of relevant data, or the extraction and utilization of useful information from “big data”. With contributions from worldwide researchers, a total of 17 papers were received. All papers underwent peer review, and five papers were further revised and then accepted for publication. Broadly speaking the papers have in common that data mining techniques have been applied in analysis, evaluation and optimization in the support of decision making and data-based intelligence. In the paper “Adaptive State Space Partitioning for Dynamic Decision Processes”, the authors propose an approach which can adapt an architecture during approximation for anticipatory decision making. 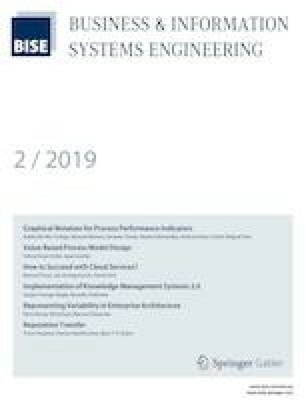 The paper “Optimizing Data Stream Representation: An Extensive Survey on Stream Clustering Algorithms” explores, summarizes and categorizes a total of more than 50 stream clustering algorithms and identifies core research threads over the past decades. The third paper, “An Adaptive Scheduling Algorithm for Dynamic Jobs in Flexible Job Shop Scheduling Problem” develops a clever algorithm to tackle makespan minimization for dynamic job shop scheduling. The proposed adaptive Heterogeneous Earliest Finish Time algorithm is shown to be significantly more efficient than what has been traditionally available. In the fourth paper “Performance Analysis and Enhancement of Deep Convolutional Neural Network: Application to Gearbox Condition Monitoring”, a comprehensive neural network based framework for machinery condition monitoring is presented. The contribution of the paper "Prognostic Model Development with Missing Labels – A Condition-Based Maintenance Approach Using Machine Learning" is a novel approach to overcome the situation of missing labels. It is demonstrated how these techniques could be used to retrieve information that was only latently available in vast amounts of maintenance-related data. The special issue is complemented by an interview with General Dr. Vad. It is discussed what changes does digitization bring about, especially in view of security, geopolitical, and strategic issues. Vad describes in detail the challenges of digitization with regard to political sovereignty and democracy. He states that security policy and strategic action take place "in the dark of incalculability" – as Clausewitz once put it: This means that we need more than only cognitive, rational intelligence. It also has a lot to do with empathy, emotionality and social intelligence, which largely elude measurability… a new field of intelligence analysis will emerge. This is also a challenge for Operations Research. The special issue has been made possible by the strong support of Prof. Martin Bichler, the Editor-in-Chief of this journal. We would like to express our gratitude to the authors for their contributions, the referees for ensuring the quality of the accepted papers, and the staff of the Editorial Office and Production Department for their help in finalizing this special issue.